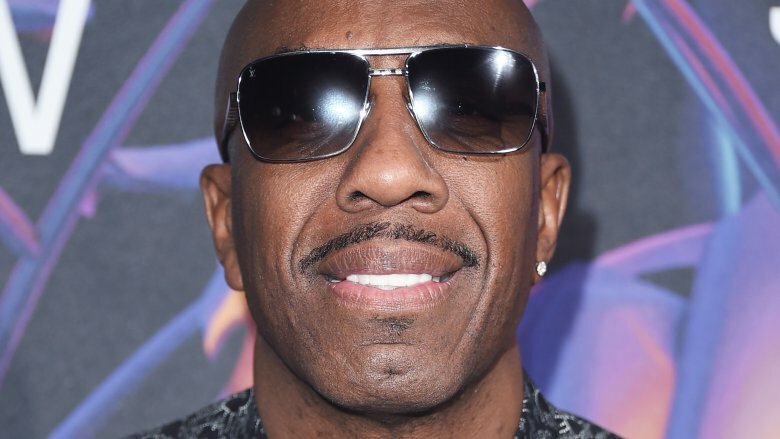 J.B. Smoove has just been caught in the Spider-Man: Far From Home web. As announced by Deadline, the upcoming Spider-Man: Homecoming sequel, revealed by star Tom Holland to be subtitled Far From Home, has added Smoove to its slowly expanding roster. The outlet noted that Sony did not comment on the casting and that no one involved in the film "would divulge Smoove's role." However, it's been said that Smoove will take on a lead role in the ensemble of the web-slinging follow-up flick. Smoove is the second new cast member to join Spider-Man: Far From Home thus far, climbing aboard the cast not long after Jake Gyllenhaal did. Gyllenhaal is set to portray Mysterio, the villainous alter ego of special effects artist Quentin Beck. Both stars will share the screen with returning actors Holland as Spider-Man (yep, he's coming back even after his agonizing apparent death in Avengers: Infinity War), Zendaya as Michelle, Marisa Tomei as Aunt May, as Michael Keaton as Peter Parker's worst nightmare: the father of his girlfriend and his nemesis Vulture. With the Spidey section of the Marvel Comics universe being as big as it is, there are a ton of characters that could be the one Smoove is attached to. Maybe he'll link up with Gyllenhaal's Mysterio and get his villain on as Kraven, Jackal, Hobgoblin, or another Spider-Man baddie. Or perhaps a character like Robbie Robertson, the editor at The Daily Bugle who actually doesn't scream about wanting pictures of Spider-Man all the time, is the one Smoove will bring to life on the silver screen. Whomever Smoove, best known for his work as Leon on HBO's Curb Your Enthusiasm, ends up playing in Spider-Man: Far From Home, he'll be headed overseas. The sequel will take its titular hero global, and, as Marvel Studios head Kevin Feige previously revealed, the story follows Peter Parker as he goes to Europe with his friends during summer vacation. Recent photos from the film's set featured lead actor Holland shooting on location in England, so it's likely that Smoove is already making his way over international waters to touch down in London Town. Directed by Jon Watts, who also helmed Spider-Man: Homecoming, Spider-Man: Far From Home is due out on July 5, 2019.